More than 180 former leaders from Israel’s security apparatus urged Prime Minister Benjamin Netanyahu to cancel his planned speech to Congress on Tuesday, fearing it may bring Iran closer to developing a nuclear weapon and damage US-Israeli relations. The group of senior commanders from the IDF, Mossad, Shin Bet, and the Israeli police said at a press conference Sunday that Netanyahu’s policies in security and diplomacy are actually pushing Iran closer to obtaining a nuclear bomb, as well as ruining Israel’s policy of deterrence and damaging its alliance with the US. "When the prime minister of Israel presents a speech as if it can stop Iran from getting a nuclear weapon, he damages Israeli deterrence because there is not a single security expert that doesn't understand that after this speech, Iran will not be distanced from the nuclear option it is attempting to achieve. The people of the US see the rift between the countries and the leaders, the people of Israel see it, and no less importantly, the people of Iran see it," said Maj.-Gen. (res.) Amnon Reshef, regarded as one of the founders of Israel’s current security apparatus. Reshef added that the speech would play into Tehran’s nuclear brinkmanship because without US support, Israel would be strategically weaker. "If it becomes clear that Iran is fooling the world, we will need the Americans. 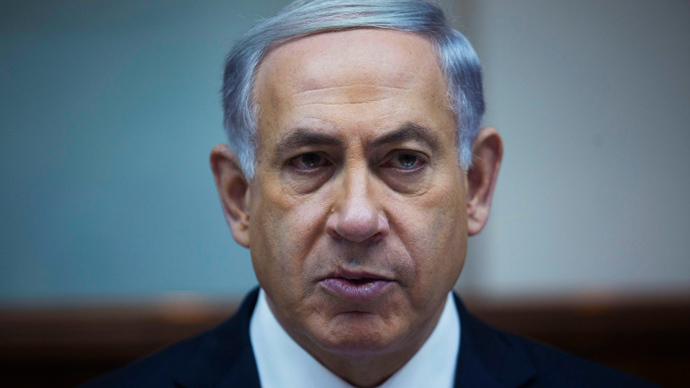 The speech brings Iran closer to the bomb and weakens Israel. When speaking of these sensitive issues, a loud PR campaign instead of quiet action constitutes negligence and must not be accepted," said the former general. Likud, Netanyahu’s ruling center-right political party, reacted angrily to the remarks, accusing those who made them of being “the same leftists who supported Oslo” – a reference to the Oslo Peace Accords and the now moribund peace process with the Palestinians. “This is a recycled version of those same generals – leftists who promised peace at Oslo, supported the disengagement, supported the 'Arab Peace Initiative' which is based on dividing Jerusalem, and championed a withdrawal from Judea, Samaria, and the Golan Heights,” Likud said in a statement. Signs are also growing that Netanyahu’s planned speech will also go down badly with many in Washington. Netanyahu’s acceptance of the Republican invitation to address Congress without first notifying President Barrack Obama has brought relations between the two leaders to a new low. Over 20 congressional Democrats are already planning to boycott the speech, according to unofficial estimates. One former US official told Reuters that there will be blowback from the planned speech. "Sure, when Netanyahu calls the White House, Obama will answer. But how fast will he be about responding (to a crisis)?,” he said. The prime minister and his supporters in Israel and the US believe he should warn of the dangers of a nuclear deal with Iran, even if it offends the White House or Democrats. "I feel that I am an emissary of all Israel's citizens, even those who do not agree with me, and of the entire Jewish people," Netanyahu said as he boarded his plane in Tel Aviv. As well as stirring up emotions, Netanyahu is also expected to use the speech to try and persuade Congress to approve new sanctions against Iran. However, Obama has said he would veto such a move because of the damage it would cause to ongoing nuclear talks with Tehran.